The view over Lord Howe Island from the cliffline of Mt Midgford. Image Credit: Courtesy Pinetrees Lodge. 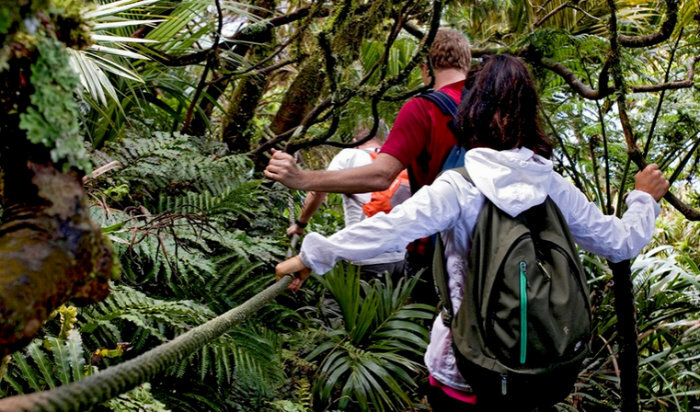 The hike up Lord Howe Island’s Mt Gower is not for the faint hearted. Widely regarded as one of Australia’s toughest but most spectacular day walks, its 875m summit can only be undertaken with a licensed guide (mostly due to the sensitive wildlife). The return journey takes between eight and 10 hours through a lot of unmarked track, with some sections so steep that ropes have been fixed to help you climb up. However, all the hard work will most certainly pay off when you reach the top, with stunning views of the island. Some of the flora and fauna of Mt Gower cannot be seen anywhere else in the world; if you’re lucky, you might even see a Lord Howe Island woodhen, an endemic bird brought back from the brink of extinction in recent decades. And an unusual wildlife experience awaits you at the top – the providence petrels almost fall from the sky to your very feet if you make lots of sound. 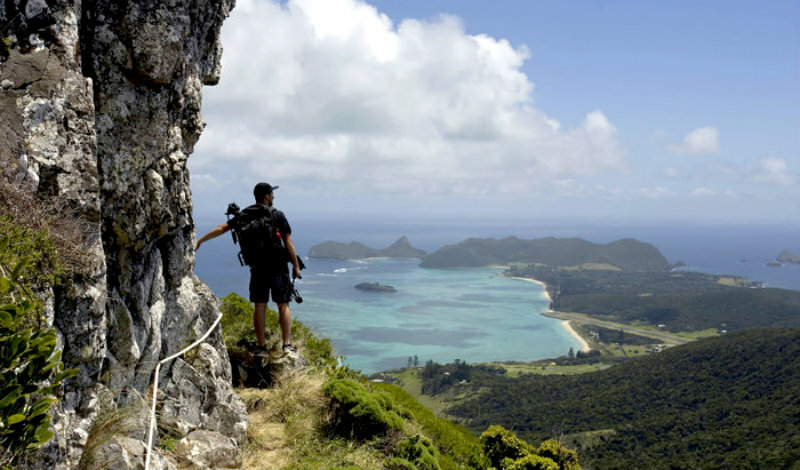 via Lapping up Lord Howe: top things to do – Australian Geographic. This entry was posted in PLACES AND TRAVEL and tagged australia, Popular. Bookmark the permalink. ← Hanging Out in the Dolomites. Ahh, my dream destination. Take me there! Thanks so much for sharing…so want to visit there! It’s a great spot and yes it is on my bucket list.